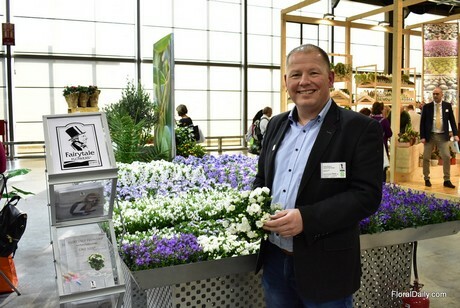 Claes Bastrup at the Myplant & Garden 2019 in Milan, Italy, holding Like MEE®. Every square meter of PKM's 190,000 m2 Odense greenhouse is filled with campanulas. “The demand for campanulas increased over the last years and our production has grown as well. Now, in order to fulfill all our orders, we try to produce as much as possible in the available space." From the end of March till mid-June they will have the biggest production. "The traditional series of GET MEE remain the best-selling plant, although the new varieties in the Like MEE series are becoming increasingly more popular." The campanula GET MEE is a popular product, and according to Bastrup, the color and the maintenance is what makes it such a beloved plant. "First of all, it has the appealing dark lilac color. On top of that, it is an easy plant to grow and maintain. It grows very well indoors and outdoors, and in the garden it even flowers 2-4 times a year." 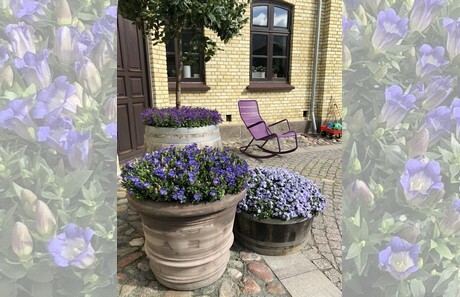 Due to the high demand, Bastrup has seen more growers shifting to campanula. "There is more campanula on the market than 5 years ago. For us, aiming to maintain the largest production, we want to provide our customers with the same quality year-round." When asking Bastrup about his expectations for this season, he very much hopes and almost expects that it will be better than last year. "Last year, the season started off really cold and the summer was hot and dry. This decreased the demand for garden plants in general." Weather seems to be the biggest trigger for consumers to buy flowers in general. "Mother's Day and Women's Day has influence on demand and production, but not in huge amounts. The weather does most of the job." Besides campanula, which is their main crop, being grown 52 weeks a year, Gartneriet PKM also produces Schlumbergera and Rhipsalidopsis seasonally. 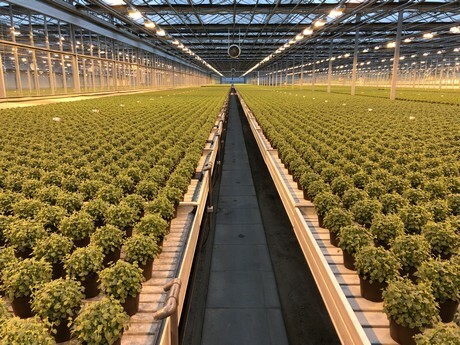 All plants are produced in a 190,000 m2 greenhouse and on a 40,000 m2 outdoor area. Of the 20 million pot plants that are produced yearly, 90% are exported to the European market; they also sell to growers in the US and Canada.